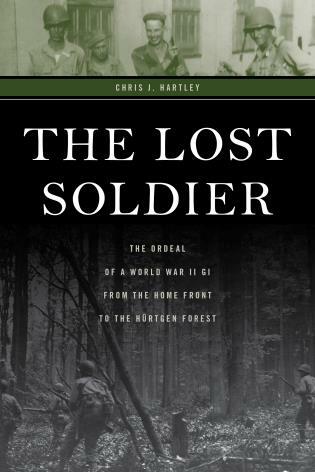 The Lost Soldier offers a perspective on World War II we don’t always get from histories and memoirs. Based on the letters home of Pete Lynn, the diary of his wife, Ruth, and meticulous research in primary and secondary sources, this book recounts the war of a married couple who represent so many married couples, so many soldiers, in World War II. The book tells the story of this couple, starting with their life in North Carolina and recounting how the war increasingly insinuated itself into the fabric of their lives, until Pete Lynn was drafted, after which the war became the essential fact of their life. Author Chris J. Hartley intricately weaves together all threads—soldier and wife, home front and army life, combat, love and loss, individual and army division—into an intimate, engaging narrative that is at once gripping military history and engaging social history. Chris J. Hartley is author of Stoneman’s Raid, 1865, which won a prize from the North Carolina Society of Historians and was a finalist for the Ben Franklin Award in History from the Independent Book Publishers Association. He also wrote Stuart’s Tarheels. He is a speaker, battlefield tour guide, and author of articles for such publications as America’s Civil War and Military Heritage. He lives outside Winston-Salem, North Carolina.